Weeks after the government declared the Blue Mountains big cat file closed, a Sydney father has spoken of a terrifying encounter with a panther-like creature outside his home. 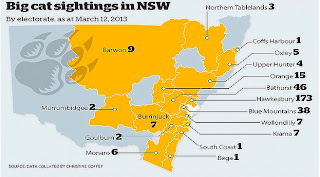 It has been sighted at least 12 times in the Riverstone area over recent years. On Thursday, the member for Hawkesbury, Ray Williams, warned the government to ''rethink'' its position or face being ''accountable'' in the event of a tragedy. 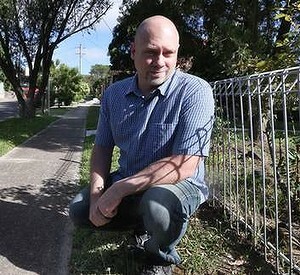 Peter Russell, who claims to have seen a large cat-like creature in Oliver Street, Riverstone. Referring to a report, released in October, that dismissed the validity of about 500 eyewitness statements, Mr Williams said: ''I appreciate [Minister for Primary Industries] Katrina Hodgkinson might have more important issues to deal with but, in accepting those findings, she is ridiculing the many hundreds who have seen this creature. For decades, huge cats have been sighted by rural residents. 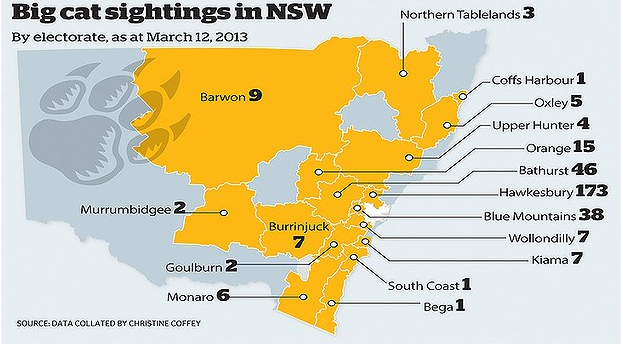 Bushwalkers, tourists and locals say the animals resemble panthers. A common theory is that the cats escaped from private zoos or a circus years ago and have since bred and survived across the three large national parks - Kanangra-Boyd, Blue Mountains and Wollemi - that connect across the mountains. But in the absence of definitive evidence, the subject remains a topic of widespread amusement elsewhere. Wildlife ecologist Johannes Bauer was later commissioned to provide expert opinion. But today, the O'Farrell government has put its faith in the findings of New Zealand invasive species expert John Parkes, who scoffed at the notion in October, labelling the 500 eyewitness accounts as ''at best prima facie evidence'', saying ''large dogs, large feral cats or swamp wallabies'' were the likely candidates. The latest eyewitness disagrees. On December 5, Mr Russell went to investigate why his neighbour's dogs were acting ''so distressed''. Ms Hodgkinson said that, based on the findings of Mr Parkes, the government would not commit any further expenditure. ''As far as I am concerned, the matter is closed." Have you seen the big cat?